It is so easy to be stuck in the slippery rut of business. Seemingly we are then too busy to reach out to others and don’t have time to lend a listening ear or even offer a prayer for those facing sorrow and grief. These Bible studies are an excellent time to simply lay aside our work and seek the Lord together. Last week I found out that a volunteer was still needed to host the Bible study for this month. Immediately, I jumped at the opportunity. We just settled into our new home. I was delighted for the chance to host the ladies in a house that is actually big enough to accommodate everyone. That day I was at Mom’s where we turned 5 bushels of apples into applesauce, so I really didn’t have time to think about getting my house ready for guests. “I’ll wait until tomorrow,”I decided. Bit by bit I am learning not to worry as much about having everything in tip top shapre for visitors who in reality don’t mind seeing some toys here and there or a few dirty dishes on the counter or even some dust bunnies hiding in corners. After a good nights’ rest I felt ready to tackle some basic housekeeping. Julia picked up toys while I swept the floors and washed the fingerprints and smudges from the dining room window where the children love watching for Daddy’s return from work. I also wanted to bake a pan or two of bars if I could possibly squeeze that in before Bible study. At 1 p.m, the first bicycles, pony carts, and open buggies began arriving. Everyone was taking advantage of the beautiful fall weather. Mom was among the first to arrive. It didn’t take her long to get to work washing some dirty dishes that had been patiently waiting. Soon we were ready for our Bible study. This time there were only a dozen of us ladies. We divided into two groups. One group used my sewing room while the others sat in a circle of folding chairs in our bedroom. The ladies took turns watching the children who were playing in the living room and bedroom. The book we’re using in our study is named “The Power of Success: How to Build Character in Your Life.” The books are written by Bill Gothard and the study this time was about compassion versus indifference. Do we care enough about others to pray for them as Jesus did? Or how about asking God to send forth more people to care for others and work in his Kingdom for his glory? Each chapter of our study book talks about an animal that teaches a valuable lesson. This time I was inspired by the zebras. A herd of zebras will actually slow its pace when one member is injured so it can stay together while the wounded member recovers. True compassion paints a beautiful picture of responding to needs with a longing to do whatever is necessary to meet them. After the study, I served “Hubby’s Delight Bars”, popcorn, chips, and tea. By the time everyone left for home I was ready to dig deeper in investing in the hearts of those around me. I was inspired by how one of the ladies, Susan, put her compassion into action by sweeping the floors and picking up the toys before leaving for home. Soon my home was emptied of mothers and children and my heart filled with gratitude. 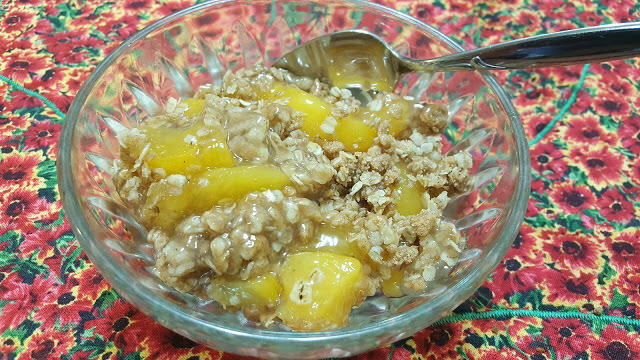 Combine first five ingredients and pat into 9 X 9 inch pan. Sprinkle with pecans. Melt butter over medium heat and add brown sugar. Boil one minute and then pour over unbaked crust. Bake at 350 for 18-22 minutes or until bubbly and golden brown. Sprinkle with 1 /2 cup butterscotch chips and 1 /2 cup chocolate chips. 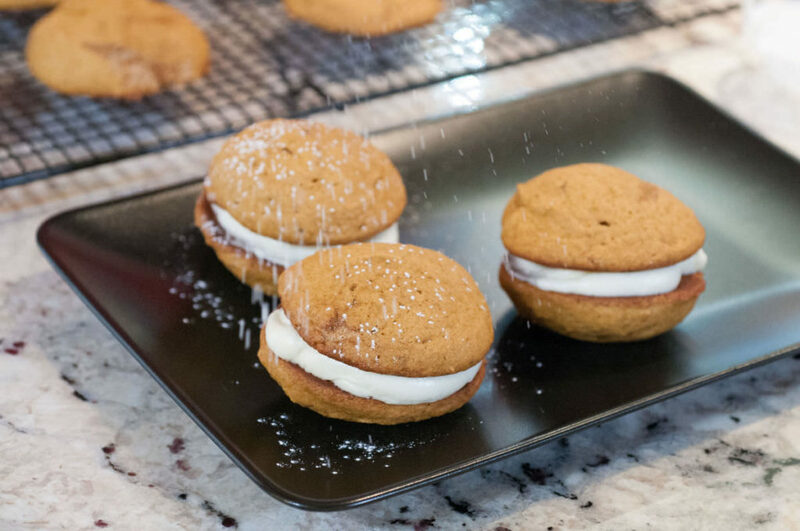 Amish in the News: Brine, Manure, Trump, Pumpkin Whoopie Pies, and More! 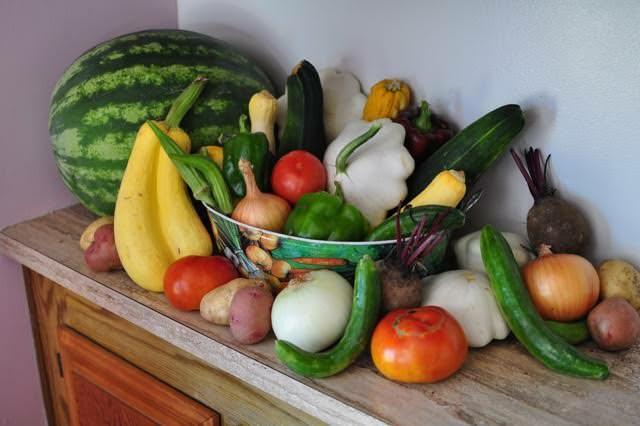 Super Blogroll: Holmes County Harmony, Herb Dipping Oil, Gloria’s Crumble Dessert, Amish Recipes and More! I really enjoyed this post. She really shared her precious heart. These sound so good. Thank you for sharing the story of the zebra herd. I will share it with my own Bible study. 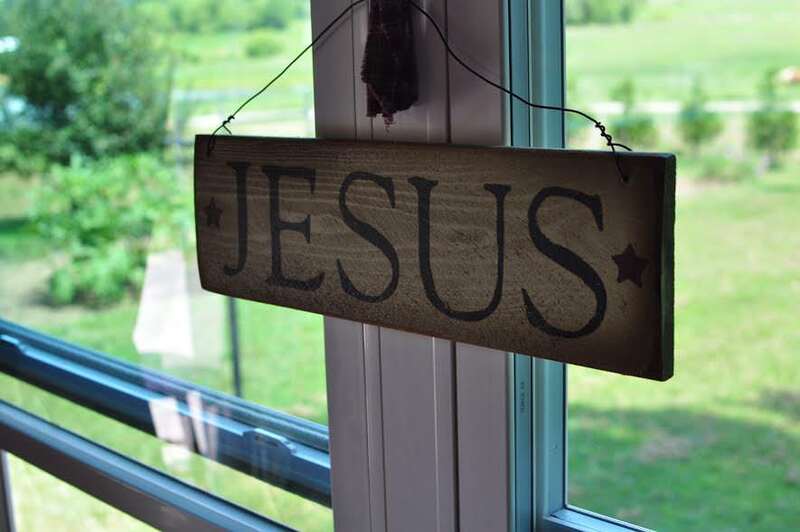 I can’t find a barnwood “Jesus” sign like the one in the picture…anyone have any info on it? Shawn, I’ll ask Gloria where she got it and let you know!